It’s a well known fact that the state of Vermont is home to an amazing array of talented artists, craftspeople, and musicians (Eulipians as the late Rahsan Roland Kirk would call them). The Arts are alive and thriving in this northern New England state. An opportunity to support the arts (and artists) exists in virtually every Vermont community. It’s a fine time to visit a Vermont gallery of gift shop and buy some unique art! 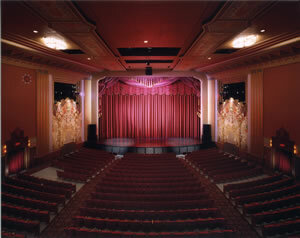 The state is also home to dozens of community theatres, art galleries, art organizations, nightclubs, and craft shops. Ask us about VT Art or share Vermont Art comments. To feature your VT Art, contact us. We would like to turn your attention to the two following live performance companies. Your patronage in these (and any additional) artistic organizations will ensure the survival of creativity in the Green Mountain State. Educational psychologists agree unanimously that active participation in the arts is integral to the proper development of young people. As such, your patronage will help to ensure the very principles and practices upon which our civilization is built.